Brooke Smith Planning has successfully gained planning permission for a bespoke Medical Hub within Edgbaston Village, Birmingham, on part of the former Birmingham Medical Institute site. The Officer’s report recommended the planning application for approval, and it was considered by Members at Committee who voted to unanimously approve the proposed development. The proposed development will create a three storey high quality contemporary state of the art medical facility (Use Class D1) with associated office (Use Class B1(a)) and research and development uses (use Class B1(B)). The proposals efficiently reuse previously developed land, and will preserve and enhance the site’s location within the Edgbaston Conservation Area. 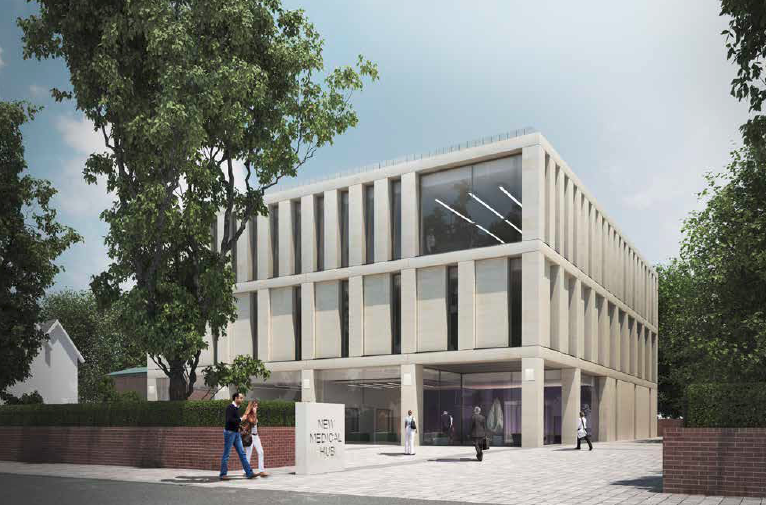 A purpose built medical facility will contribute to the regeneration of Edgbaston Village, complementing existing medical uses within Edgbaston whilst adding to the vibrant mix of uses coming forward within the Framework area. The proposed development accords with both national and local planning policy in terms of its good design principles, its transport and access credentials, and its sustainable development of previously developed land. A comprehensive pre-application process was undertaken which shaped the final proposed design in both its scale and massing and its proposed contemporary design. A key element of the proposals was to create a purpose built world class facility that is flexible enough to respond to evolving clinical practices and adaptable to respond to future needs.